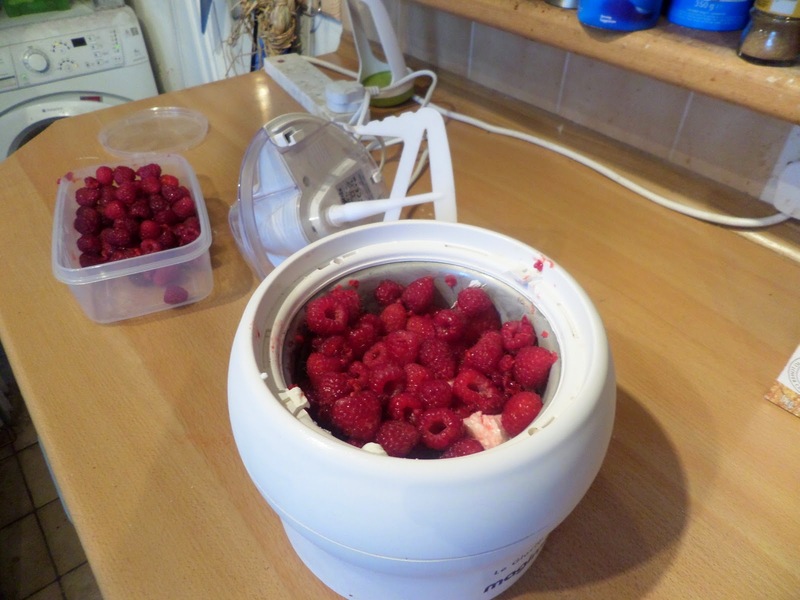 The garden refuses to stop producing raspberries. 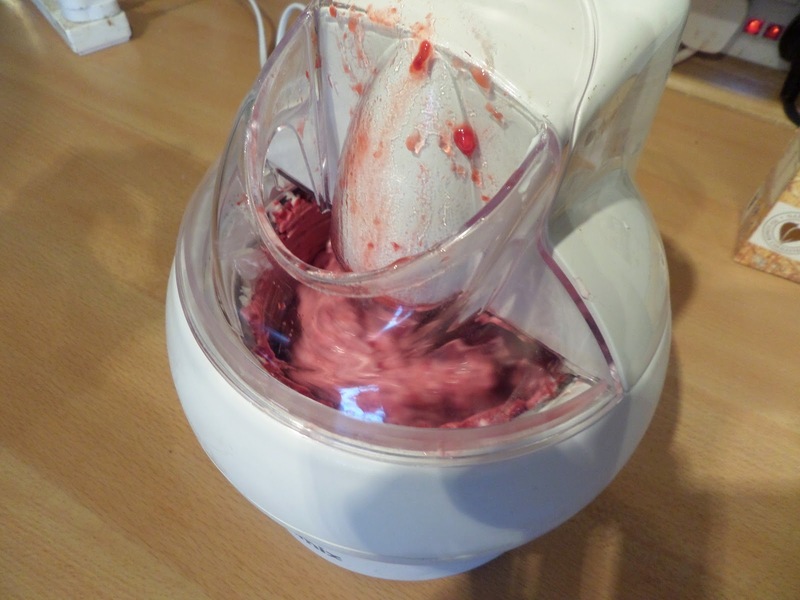 There are only so many raspberry waffle breakfasts you can have, and we’ve already made a lot of raspberry jam, so now I’m moving to frozen yogurt to use them up. 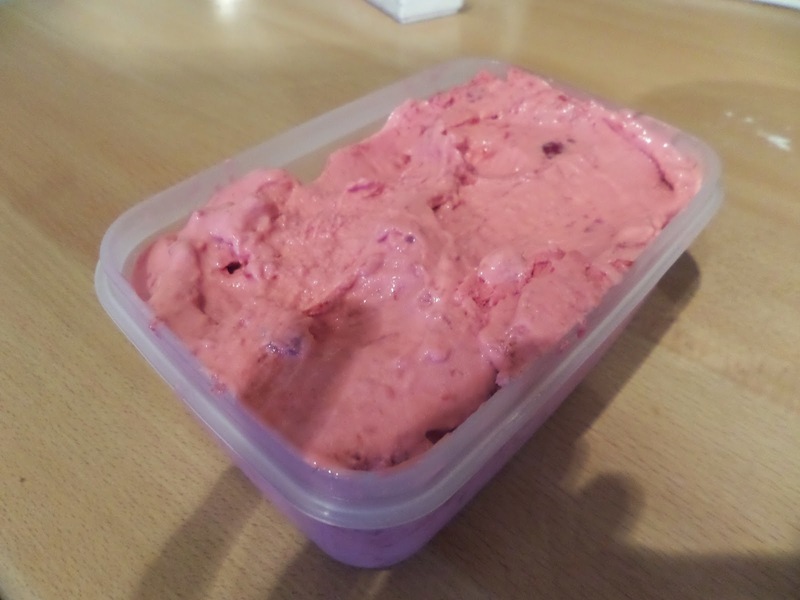 It’s just a matter of putting 0% fat Greek yogurt and raspberries in the ice cream maker, turning it on, then popping it in the freezer for future use. So pop things in the ice cream maker. 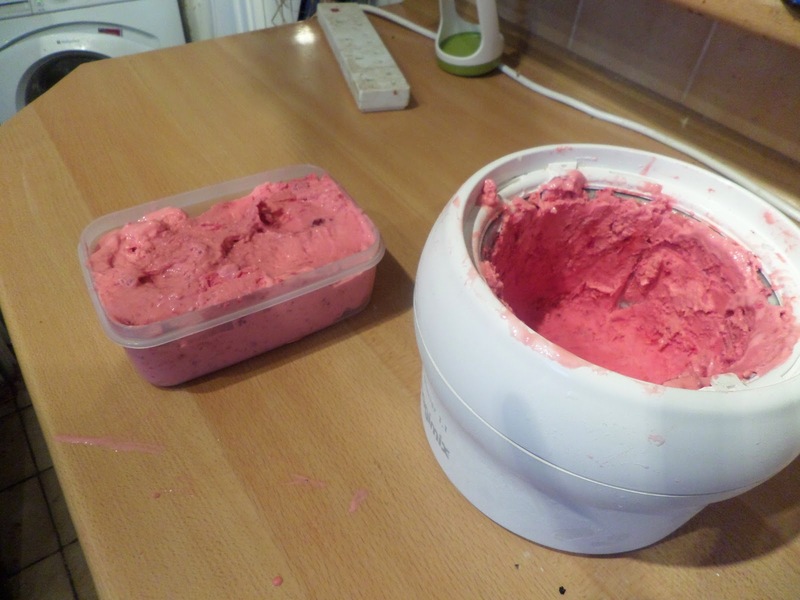 Realise you should have started churning first… as we now have a 5mm layer of frozen stuff we can’t remove. Anyway… enough for a tub in the freezer!